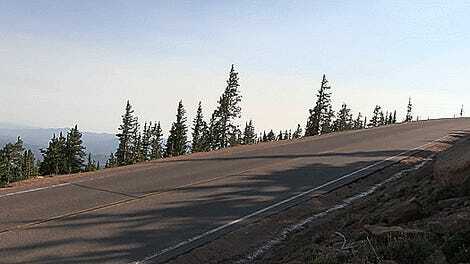 The Pikes Peak International Hill Climb is the most prestigious mountain race in the world. Faraday Future is a car company(? ), or at least a company that aims to make cars. Now the two will (?) meet this year in competition. Chinese/Californian Tesla-rival Faraday Future just showed off its first production-intent car last month. Already the company is taking it racing, running the Race To The Clouds in a few months. Pikes Peak runs all the way up to 14,000 feet, so electric cars have an advantage over thin-air-huffing conventional internal combustion engine vehicles. It’s a big reason why EVs have been showing up more and more often at the PPIHC in recent years. Tesla in particularly has been making a big presence on the mountain, and will be running a P100D. It makes sense that Faraday Future wants to follow and best their intra-state rival. FF already supports a car in Formula E, but this will be the first time it goes racing in its FF 91 car that it hopes to sell to the public. Now all Faraday Future needs to do is not go out of business before the race on June 25th.